Tarongino is a fun, fresh, sparkling canned wine made from 100% organic oranges. 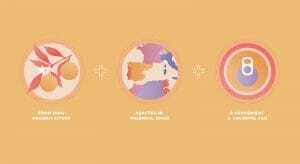 The oranges are picked from the Mencheta family’s fifth generation goes and is crafted in Valencia, Spain. Challenged with introducing this unique wine, made from oranges, to the United States, we wanted to be sure the packaging reflected both the taste of the wine, as well as the feeling of being in the Mediterranean. 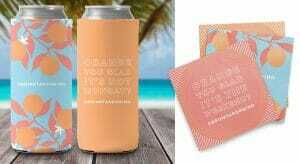 The Tarongino package design evokes the azure seas, the oranges and pinks of the fruit, and the warm sunsets together into a can that easily travels for leisurely picnics, brunches, pool days and happy hours. Following this daytime use, packaging Tarongino in a can was the perfect fit and compliments the cool, crisp taste of the wine. We continued the branding, focused on enjoyment, into merchandise that our target audience would delight in wearing and using.